Sorry, Aspire Triton 2 has been discontinued. The improved Triton 2 by Aspire, features a simpler top-filling system, and the brand new Clapton Kanthal Coils, for an incredible flavour! Aspire has released an improved version of their Triton clearomizer, their top-of-the-line top-filling tank system that is interchangeable between sub-ohm and standard resistances. Top filling tanks are ideal to conveniently refill your tank on the go, as you don't have to unscrew them from your device. The Triton 2 comes equipped with the brand new Aspire Triton 2 Clapton Kanthal Coil (a wire wrapped around a thicker wire) that offers more heating surface and better flavour, it comes at 0.5ohm, is wicked with high quality japanese cotton, and operates between 40-45W. 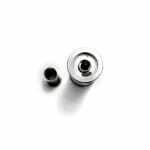 As a replacement or alternative, it also comes with a 1.8 ohm kanthal coil that is rated between 10-13W, and will still provide a lot of vapor with a tighter, more cigarette-like draw. 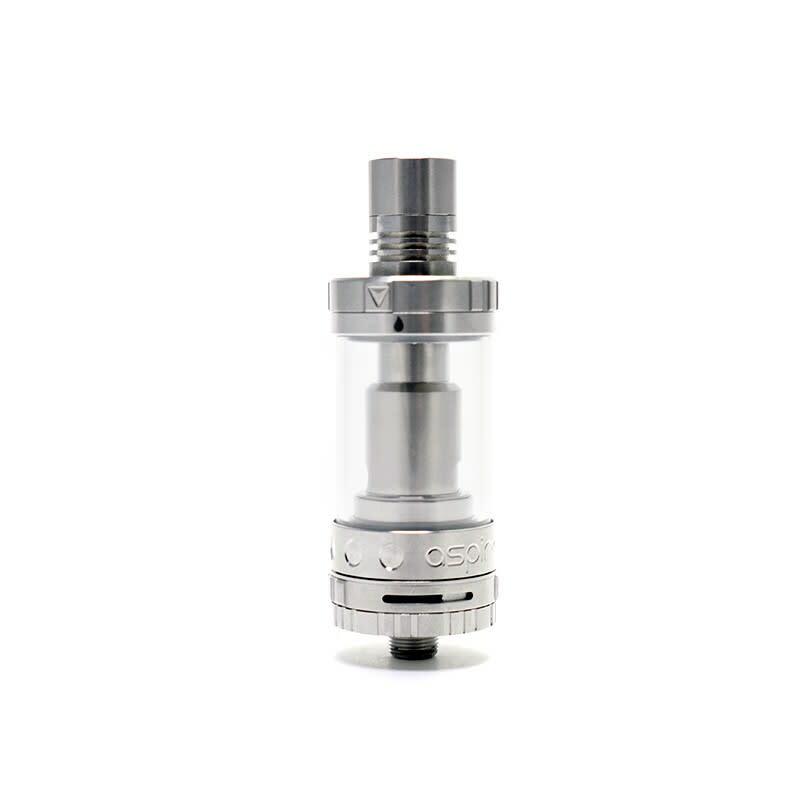 In terms of design improvement, the Triton 2 has a simpler top filling system, the airflow has been redesigned to only be controlled at the base, and the tank itself features a sleeker design with less metal, more pyrex glass, and is shorter in height. 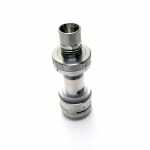 The Triton 2 is compatible with all the Aspire Atlantis coils, and original Triton coils, but it is recommended for use with the proprietary Triton 2 and Original Triton coils. This tank has absolutely unparalleled flavor compared to the other Aspire clearomizer systems like the Atlantis or the Nautilus, and with the Triton Clapton coil, it improves the taste even further. Compatible with a variety of Sub-Ohm, Standard, and Temperature sensing coils. Overall I'm satisfied with this tank and will most likely purchase another one. My first one has lasted me 6 months and although it's not broken, I only started noticing slight leaks after I washed and submerged this tank (dismantled) in warm soapy water. Since then the twist mechanism seems a little tighter than usual and when I leave this tank on it's side, I'll notice some juice marks on the table. Had the Triton one and loved it but it had too much airflow and it was unnecessary. This tank took a step up and removed the unnecessary airflow and also improved the pre-made coils! Now this tank come with a pre-made clapton coil and gives off the greatest flavor any tank to this day does! I upgraded from the first triton to this and I hae to say, THIS ROCKS. A few tiny changes made a huge difference in quality. This is my number one tank. I love the updated top fill from the original triton, it makes filling effortless. I also like how there's so many coil options from standard resistance, to sub ohm to temperature control. Haven't had leaking issues yet either which is a plus.